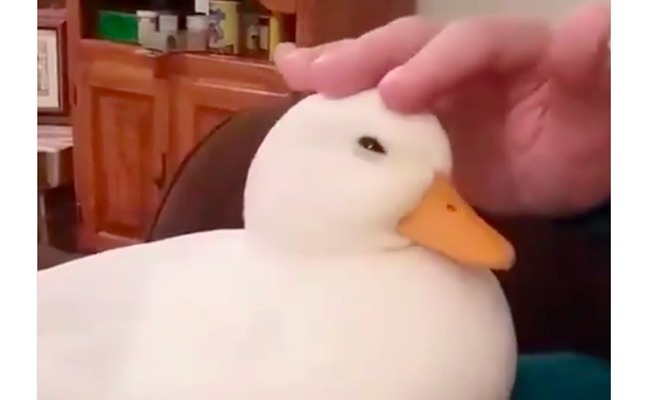 This duck is loving the petting sesh with their human! What a precious duck. Animals know when they are around someone who loves them. Bellissima, ma come mai non Ã¨ in un lago a nuotare?